Hypnotherapy has quickly become a popular, relatively inexpensive, way of improving your life. It offers a positive solution to problems that may be holding you back in some way, and provides an easily accessible method of eliminating any negative behaviour patterns or bad habits. Hypnotherapy can be used to treat addictions like smoking, or stress caused by challenges in your life. It is a quick, effective way of seeing good results. Because this method of treatment requires no medication, hypnotherapy has become a superior way of eliminating smoking addiction. This form of focused relaxation works particularly well with the cessation of bad habits, particularly those habits that affect the quality of your health. Over the course of your sessions with the hypnotherapist, focused relaxation techniques will be used to modify your behaviour, and to change the way you think about smoking. It will also boost your confidence and belief, and motivate you to commit to working towards your goals, and offer an effective way of coping with the unpleasant nicotine withdrawal. 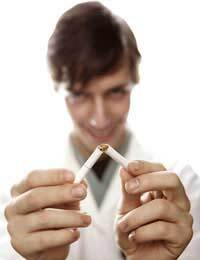 Hypnosis will provide the smoker with the means to unlocking reserves of strength that then enables them to quit the habit. Hypnotherapy can help you lose, and maintain your weight, in a natural, drug-free way. There is no need for slimming pills and aids, just an open mind and the time required to attend the focused relaxation sessions with the hypnotherapist. Hypnosis provides an effective method of losing weight because it allows you to let go of formed, bad habits whilst acquiring new, positive ones. This form of therapy will allow you to re-educate your subconscious mind, so that you view your relationship with food and nutrition in a positive way. Comfort eating, over-eating, yo-yo dieting and a host of other negative eating patterns can be identified, acknowledged and replaced. Stress controls the lives of millions of people every day. It can be the driving force behind many health concerns and issues, and can impact on other areas of your personal life, and the lives of others around you. Using hypnotherapy for stress management is an effective method of controlling the amount, and levels, of stress that you regularly experience. Anxiety attacks, burn-out, anger, obsessive thoughts and other debilitating side-effects of stress can be reduced by using relaxation techniques combined with new ways of thinking. Self-hypnosis techniques will arm you with the tools to relax in a focused way, so that you can control and manage your stress levels. By unclogging your mind, hypnotherapy filters in positive affirmations that leave you feeling more relaxed, confident and calm. Whether it is a fear of spiders, flying or heights, hypnotherapy can free your mind of the beliefs you hold there, and that stop you doing or enjoying certain things or experiences. By relaxing your mind, hypnosis can explore the reasons why you maintain these negative beliefs, and replace them with empowering thoughts that you can then use to identify and overcome your fear. Using hypnotherapy to overcome fears, of any kind, is a highly effective method of managing your life. By retraining your subconscious mind, and replacing anxiety with calm, hypnosis enables anyone with a fear to change their previously held negative beliefs concerning their phobia. Most people will experience the loss of confidence at some point in their life. There could be any number of reasons why the loss of confidence, self-esteem and self-belief impact on your ability to think positively about yourself. Hypnotherapy is a highly effective method of enhancing boosting qualities, and of empowering you to raise your confidence levels. Overcoming limiting beliefs, by employing self-hypnosis techniques, will create a positive feeling that you can use to great effect. Using focused relaxation in this way frees your subconscious of any negative thoughts and beliefs, and allows you to explore new ways of increasing, and maintaining, confidence. In this manner, hypnosis can also aid performance in a focused sport or discipline. It does this by getting you in ‘the zone’ and visualising positive outcomes you want to achieve. Visualising peak performance levels will also enable you to enhance your natural athletic ability.